The Supreme Court today said it may consider setting up a constitution bench to hear pleas challenging the Centre’s move to make Aadhaar card mandatory for availing various services and benefits of welfare schemes after it concludes hearing the Delhi-Centre dispute. The Centre apprised the bench headed by Chief Justice Dipak Misra that it was willing to extend up to March 31 next year, the deadline fixed for mandatory linking of Aadhaar numbers with various schemes on the terms envisaged earlier. The bench, which also comprised Justices A M Khanwilkar and D Y Chandrachud, did not agree with the contention of senior lawyer Shyam Divan, representing one of the petitioners opposing the move of making Aadhaar mandatory, that an interim stay on the scheme be granted till a five-judge bench commences hearing the petitions. Attorney General K K Venugopal opposed the submission, saying that such an interim order cannot be passed in a matter of “national importance”. “Even an interlocutory order can only be passed by the constitution bench,” the top court said and asked the lawyers to mention the matters once the five-judge bench concludes hearing on appeals of Delhi government challenging a High Court order that Lieutenant Governor is administrative head. The court said that the constitution bench would first consider the aspect whether an interim order can be passed. The apex court on October 30 had said that a constitution bench would commence hearing on the clutch of petitions against Aadhaar scheme from last week of November. In a note to the court, the government had said that “those who have Aadhaar are required to seed/link their Aadhaar with SIM card, with bank account, PAN card and other schemes where section 7 notifications have been issued”. “The government will be open for the deadline for linking Aadhaar to various programmes being extended for another three months till March 31, 2018 for those who do not have Aadhaar,” the note had said. 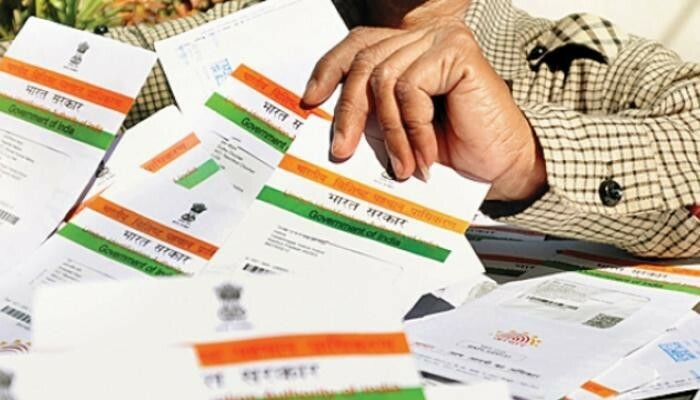 Some petitioners in the top court have termed the linking of the Unique Identification Authority of India (UIDAI) number with bank accounts and mobile numbers as “illegal and unconstitutional”. They had also objected to the CBSE’s alleged move to make Aadhaar card mandatory for students appearing for examinations, a contention denied by the Centre.